In an ideal world, dress shoes are supposed to be worn with a fancy suit or a tuxedo. However, since you live in the ‘real world,’ where comfort is the thing you seek the most, then most of you will try wearing men’s dress shoes with jeans. Still, there are a couple of do’s and don’ts when going for this combo; some style rules that will make you go from “eww” to “wow.” Dress shoes are elegant in nature, so trying to combine them with a sporty outfit is going to be tricky. Here’s how you can do it. When it comes to jeans, there’s a wrong and a right type to mix with dress shoes. For example, if you try to mix dress shoes with ripped jeans or the hip ones with a washed-out look, you will not look classy; you will look like a hobo that accidentally found a pair of good shoes. Furthermore, baggy jeans or boot-cut models will not work with dress shoes for the exact same reason. If you plan on wearing baggy jeans, you might want to drop anything ultra-casual and stick with the “dressier” ones. Opt for a pair of jeans that fit well around the waist and the hip. You may also want to make sure that they are not too long, nor too short, since dragging jeans will not look good with dress shoes. As for the color, you can always go with a dark hue – although colored jeans will also work well if you mix them with a pair of brown or black dress shoes. The best tip would be to pick a pair of jeans that is not in too much contrast with the shoes. To some extent, they have to match. You need to pick the right jeans, yes; but you also need to make sure that the dress shoe style matches the whole ensemble. 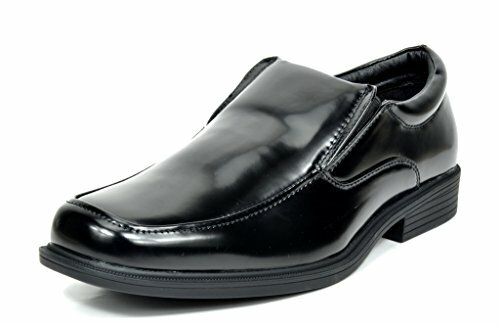 For example, when choosing a pair of dress shoes, you’ll need something that is more casual than fancy. 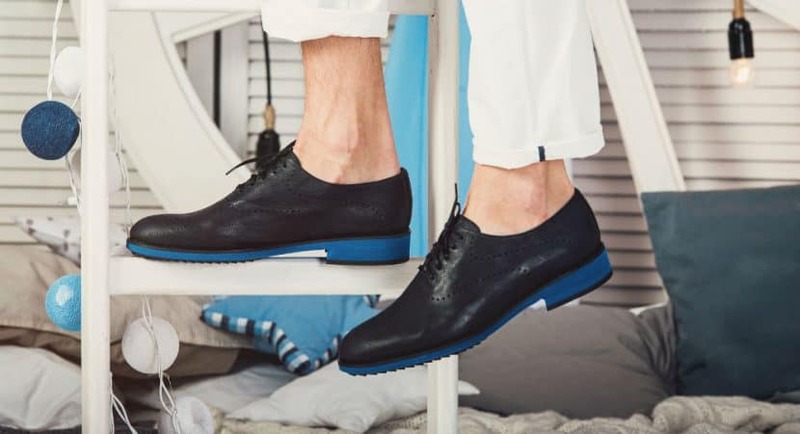 Indeed, Oxford shoes are a great choice for formal events – but if you want to mix them with jeans, you may find that they’re not exactly an appropriate choice. The better designs would be loafers, bluchers, or derby dress shoes (which are less formal versions of the Oxford dress shoe). You could also go for desert boots, monk straps, slip-ons, and chukkas when it comes to dressing up your jeans; they may not be as fancy as the Oxford shoe, but they are “dressy” enough. You may be wearing jeans, but the moment you decided to throw on a pair of dress shoes, you also decided that today, you’re going to be elegant. Therefore, you may want to give up the plan of mixing it with a sweatshirt or a T-shirt. The best way to wear dress shoes with jeans is if you complete the outfit with a nice dress shirt – maybe even a hat or a necktie. Remember: If the bottom is elegant and the middle is casual, then you have to make sure the top is also elegant. Still, to make sure that you are not overdoing it, you may want to cover the fancy dress shirt with a sports jacket – but make sure that it also has a nice cut. Still having an Oxford-ish look, these shoes are perfect for a pair of jeans. 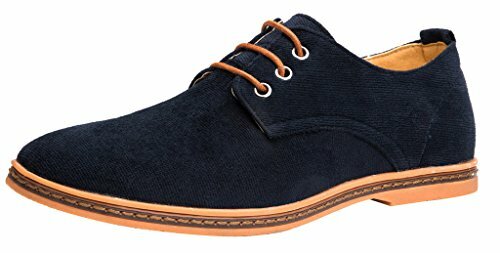 Considering they are also made from suede leather, they do not have the same “formal” feel of full grain Oxford shoes – so you can definitely pull these off as long as you match the colors. 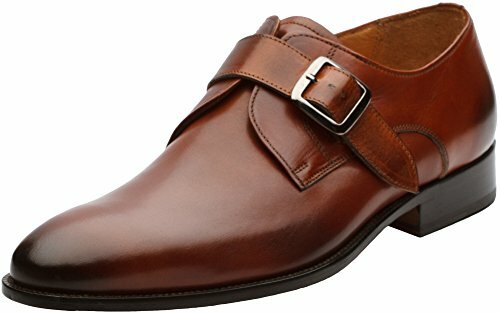 As mentioned, monk straps can work pretty well with jeans – which is why this pair should be a good choice to be worn in more smart-casual circumstances. If your jeans are of a lighter color, you might also want to go for a light color on the dress shoes; however, if you’re wearing a pair of dark blue jeans, then the black model might be the smarter choice. When in doubt, always go for loafers. Not only are they comfortable, but the fact that they don’t have shoelaces or the Oxford-like style makes them a good choice for jeans – as long as you balance them nicely. Technically, while these shoes might go into the “Oxford” category, the rubber sole with a seamed design offers a fairly casual look. Plus, the colors would look great with a pair of jeans or khakis. 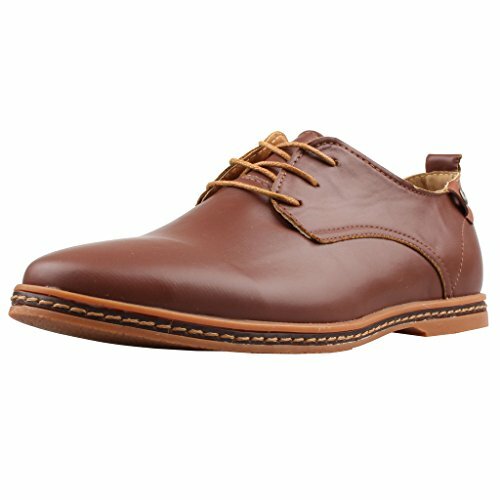 These shoes from the Derby category could also be a great choice for jeans. They’re not too casual, but not too formal either – so you can easily wear them with some jeans as long as you accessorize them with other semi-formal clothing. 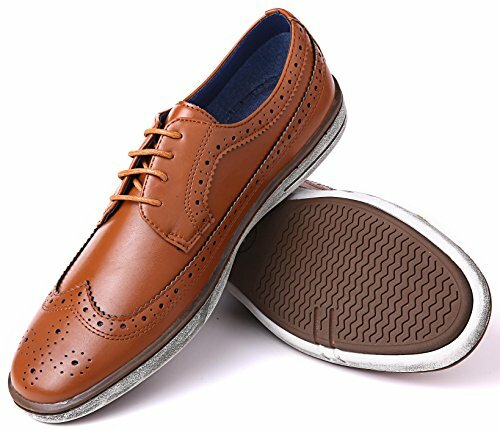 The rules to wearing dress shoes with jeans are not that strict – but you need to look for shoe styles that aren’t as formal as the traditional Faranzi Oxford dress shoes, for example. You’ll want to find something semi-casual that mixes other “modern” qualities as well (for example, a round toe cap, seamed sole, or made from suede leather).